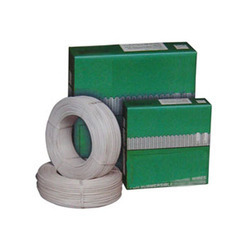 Leading Exporter of submersible pump cable, submersible flat cable, submersible winding wires, poly submersible winding wires, insulated submersible winding wires and submersible flat cables from Jaipur. We are putting forth an extensive variety of Submersible Winding Wires that is of unmatched quality benchmarks. Our offered items are utilized as a part of submersible pumps for watering system and discover numerous more applications. 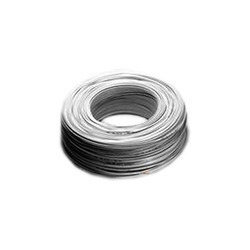 The nature of winding wire depends basically on the copper and protection utilized. These items are loved in the business sector for their simple establishment. To meet the diversified requirements of our prestigious clients, we are engaged in offering Poly Submersible Winding Wires that are flexible, durable and customized as per your specific requirements. The major purpose of this submersible wire is to wire a device for passing electric current and charge, and at the same time ensuring that the electric current or charge is not wasted while transportation. 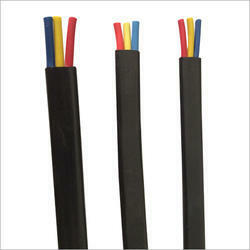 Our offered winding wires are used for those electrical devices and appliances which are mostly used underwater. 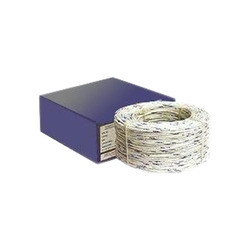 Leveraging upon our rich industry experience, we are offering our clients a wide array of Insulated Submersible Winding Wires. 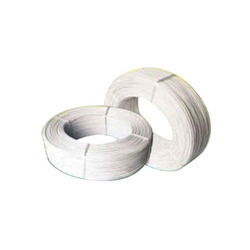 The offered winding wires are renowned for enhanced performance, resistance to mechanical abrasion as well as high temperature. 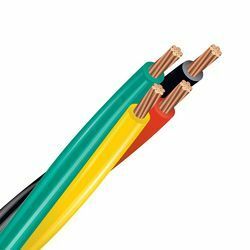 These wires are insulated with polyester and polypropylene to ensure their full capability to withstand extremely high temperature and mechanical abrasion. The copper which is used for manufacturing submersible winding wire are chosen as the highest quality, which can give the best results. We manufacture a wide range of Submersible Flat Cables, which is coated with PVC to impart flexibility and water resistance. 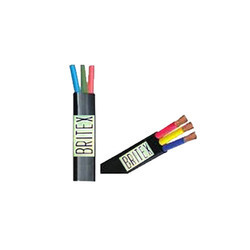 This 3 core round submersible cable can withstand the voltage up to 1100 V. We manufacture this assortment using high grade raw material as per the industry standards. 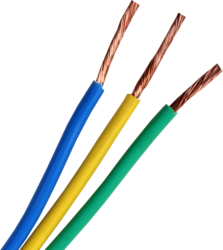 The cable is manufactured in various dimensions to ensure efficient performance, abrasion resistance and high conductivity.